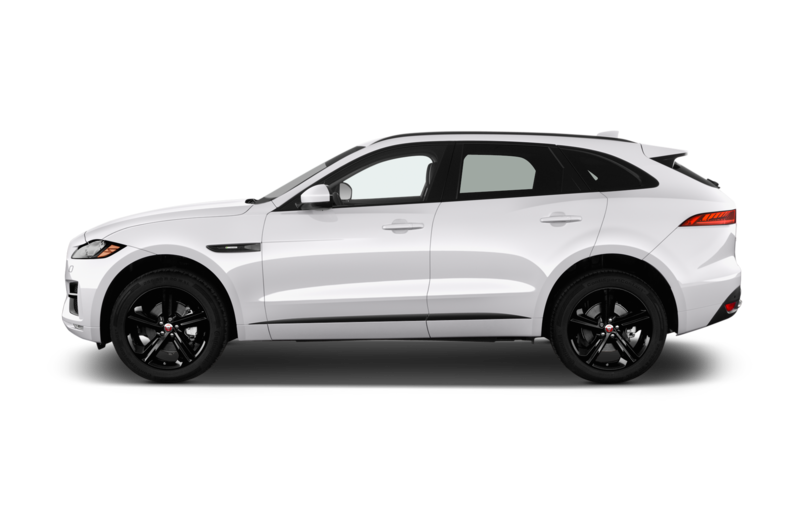 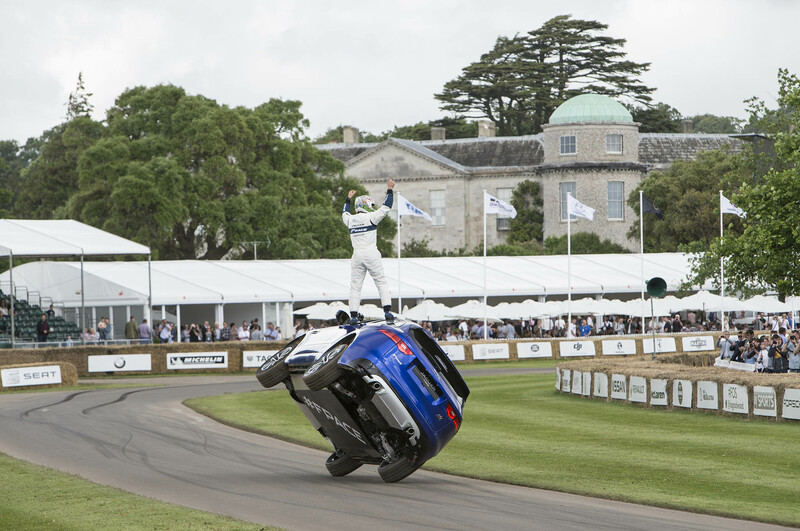 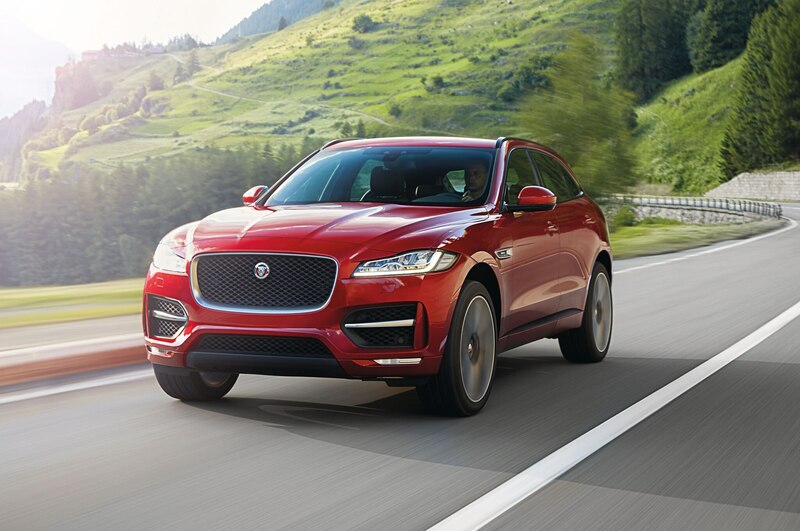 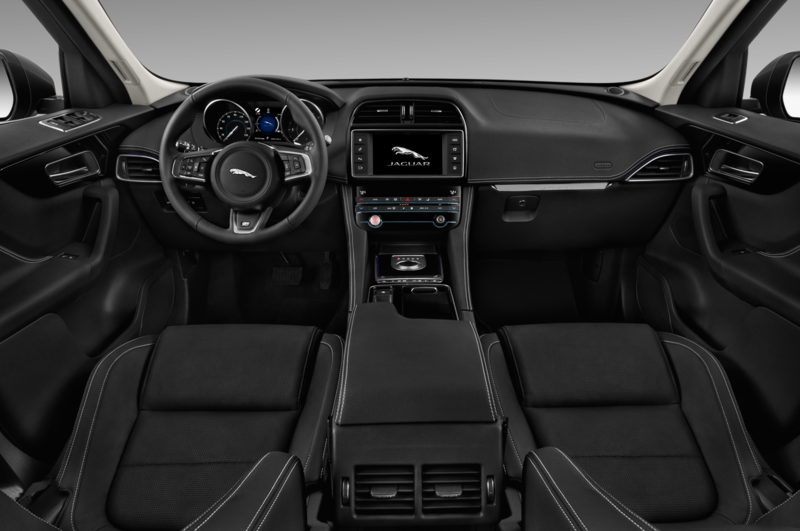 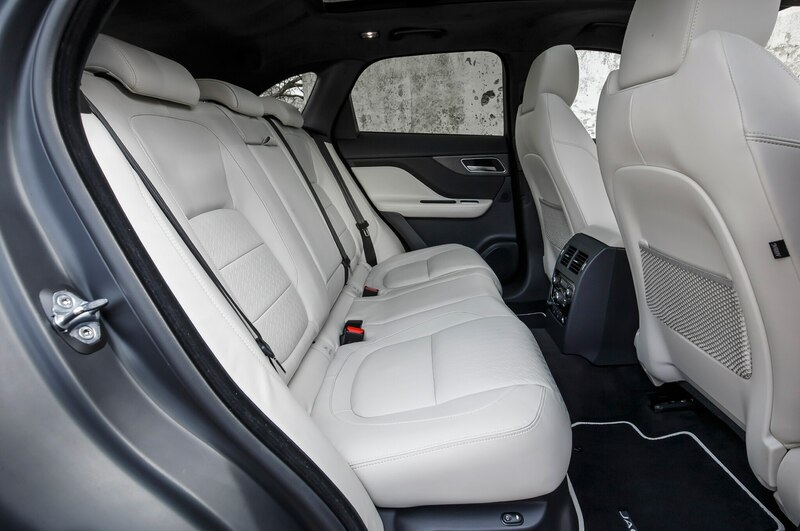 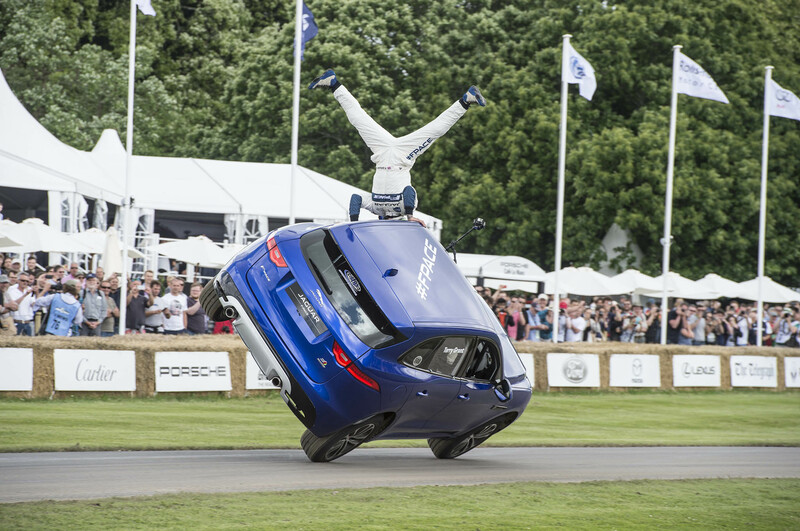 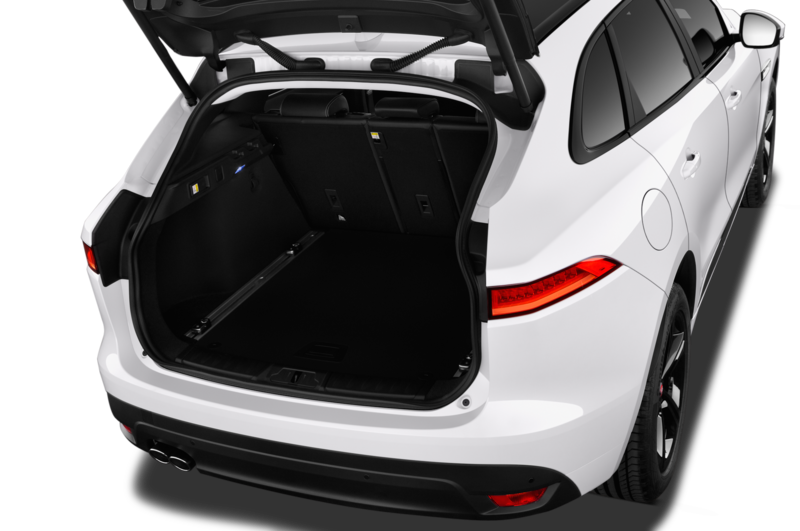 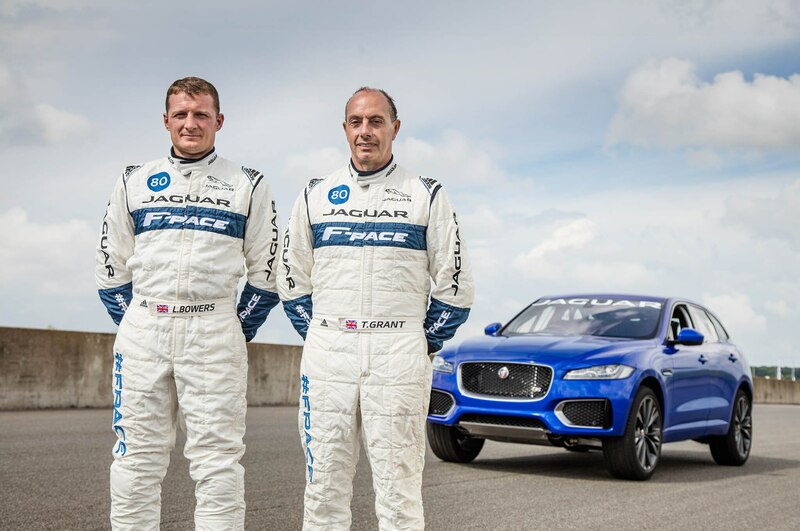 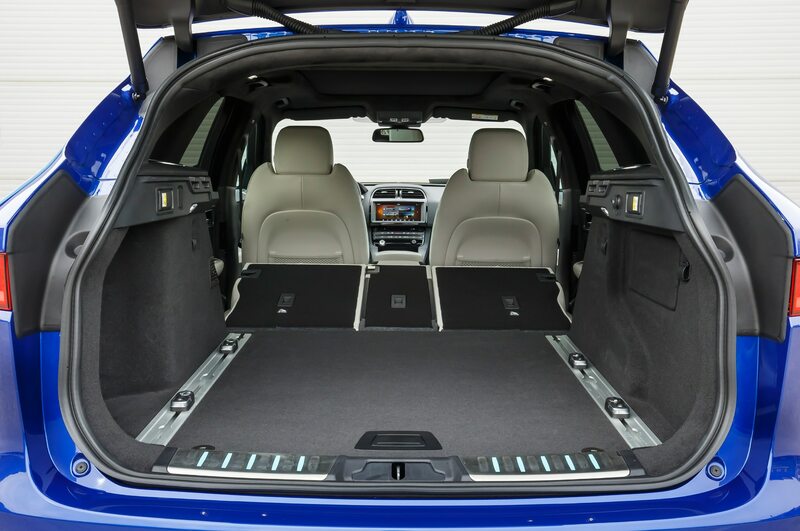 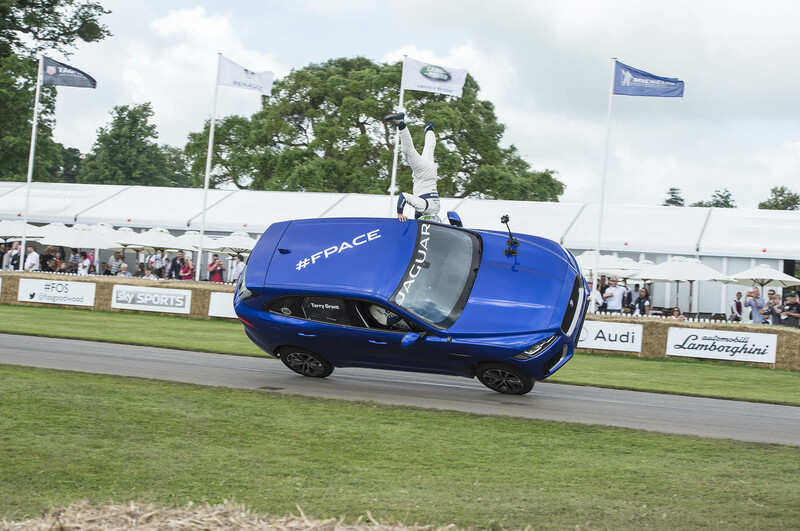 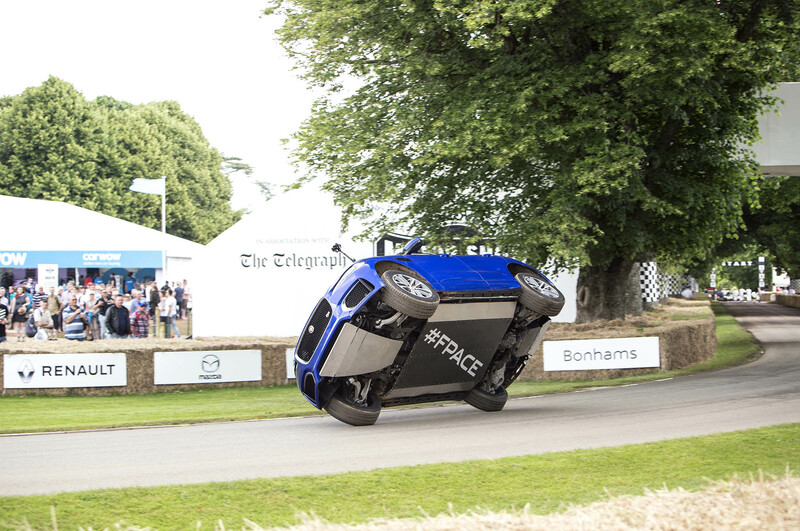 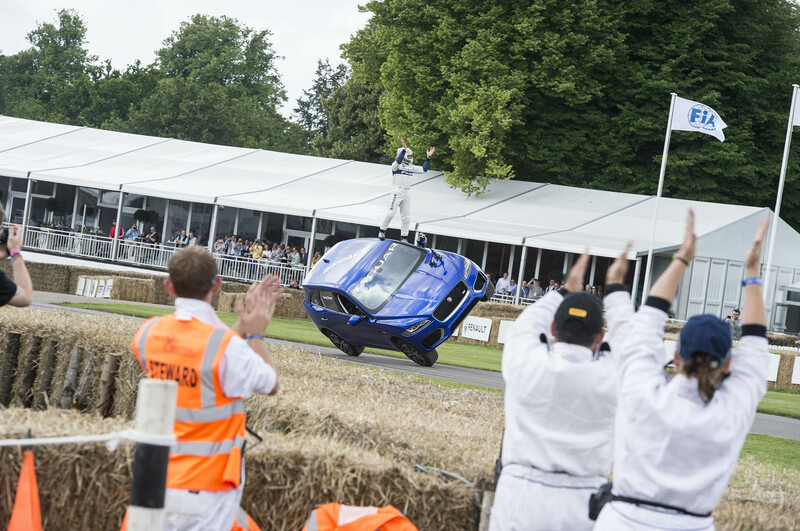 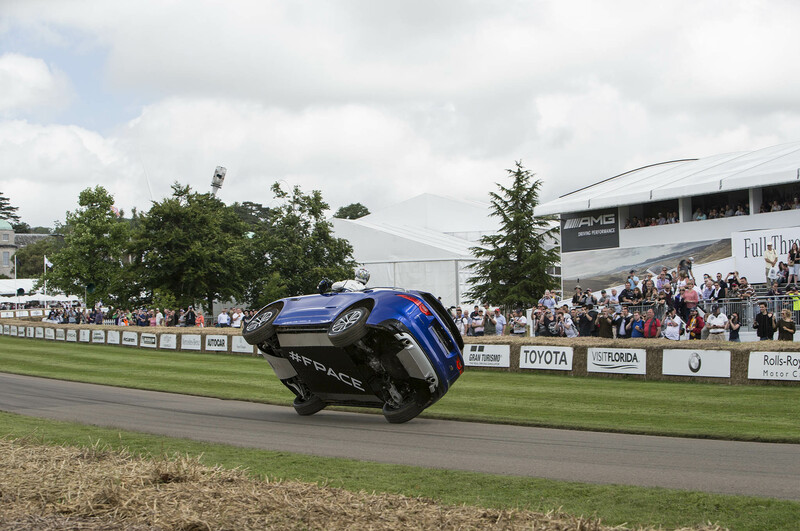 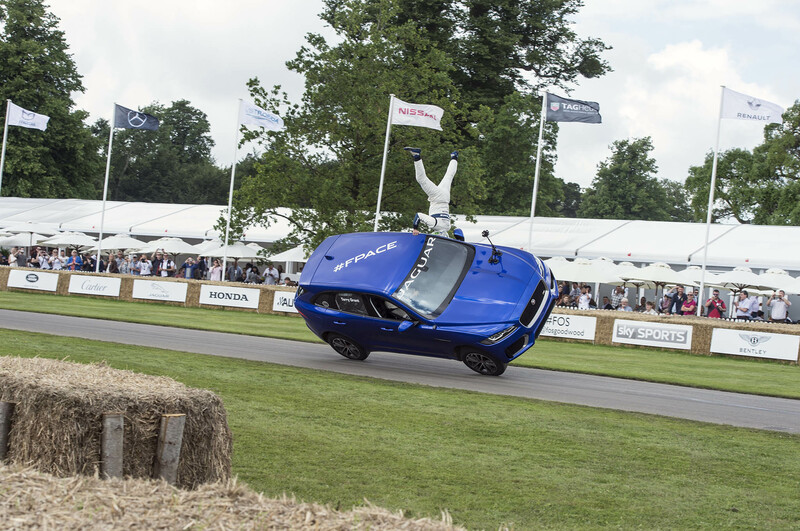 During the Goodwood Festival of Speed in the U.K., stunt driver Terry Grant and the Jaguar F-Pace joined forces once again to make a dramatic entrance. 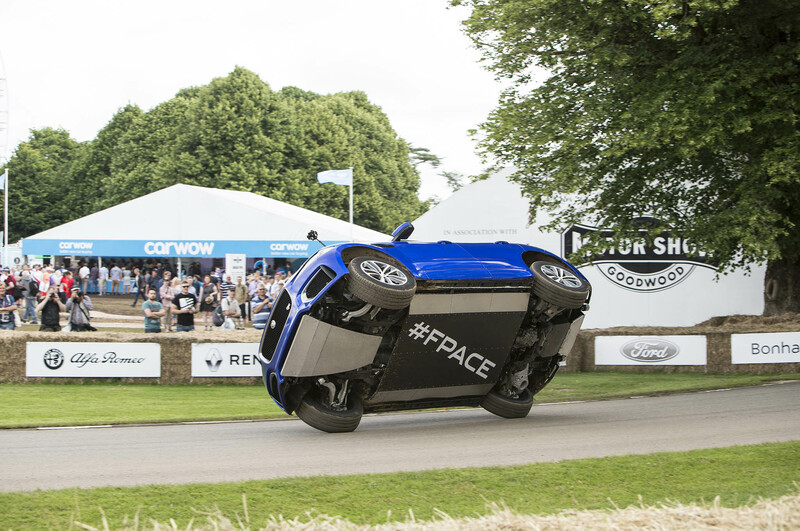 The F-Pace made its Goodwood debut on two wheels, with professional freestyle motorcycle stunt rider Lee Bowers along for the ride. 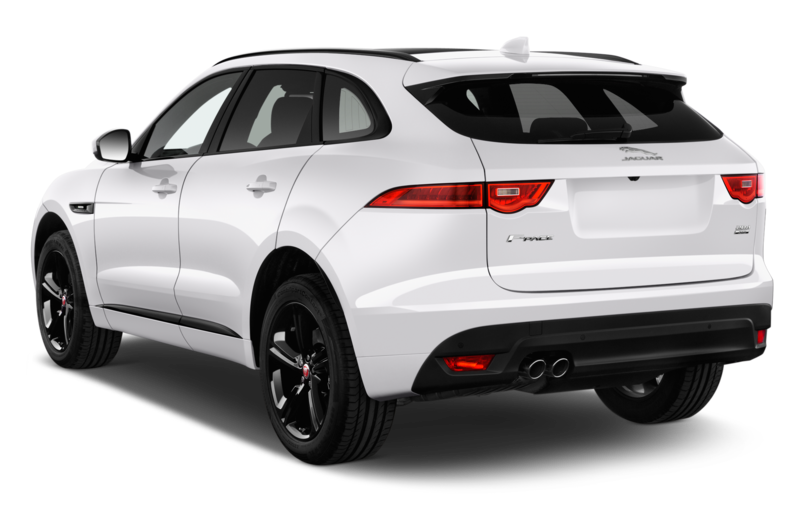 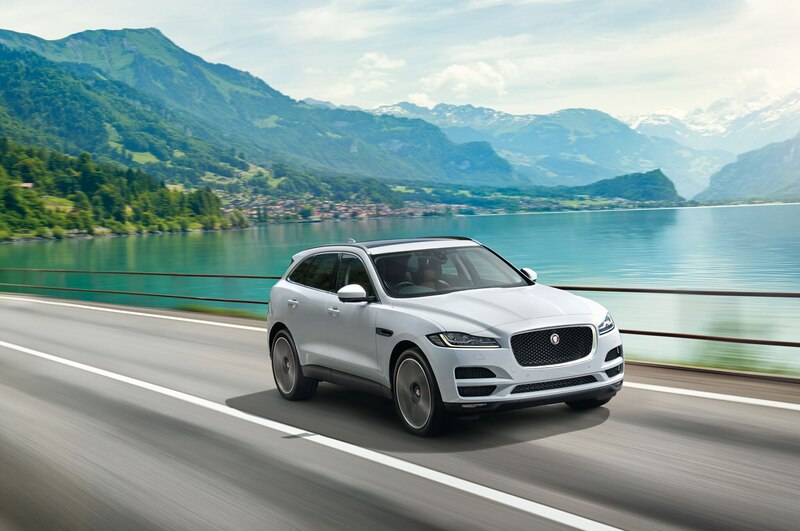 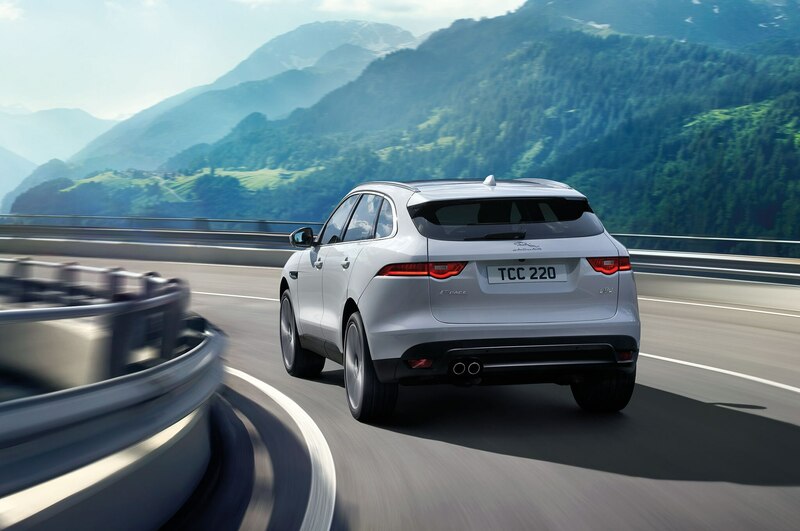 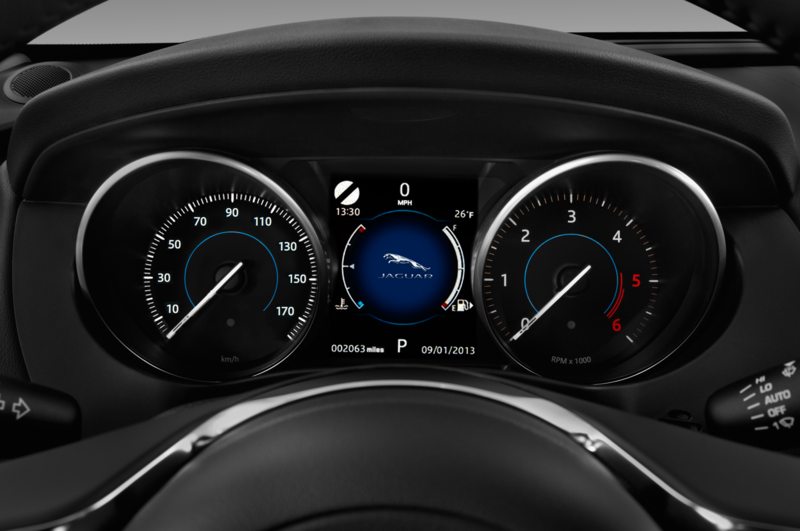 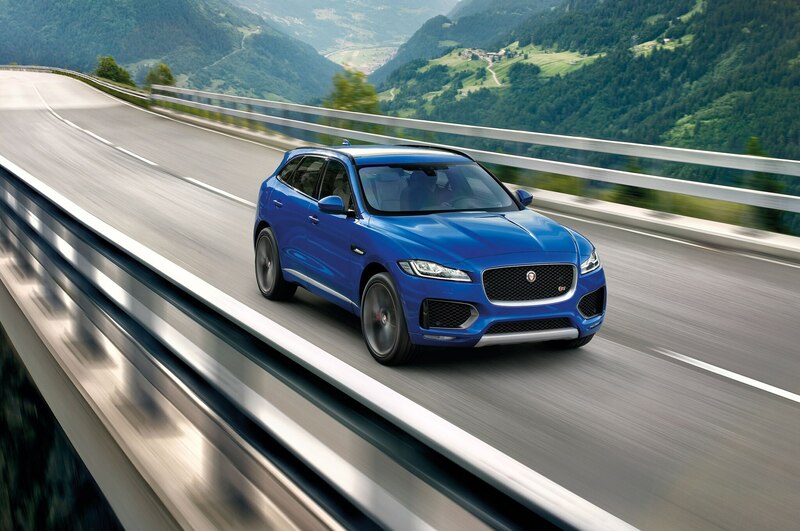 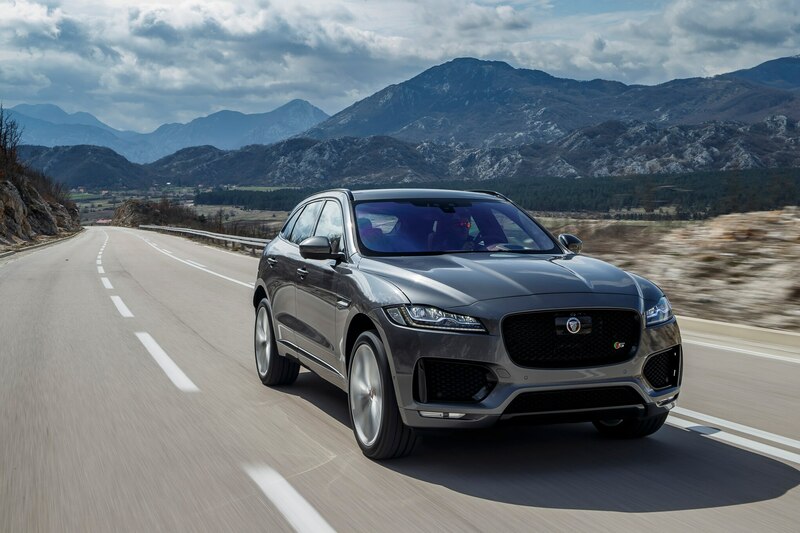 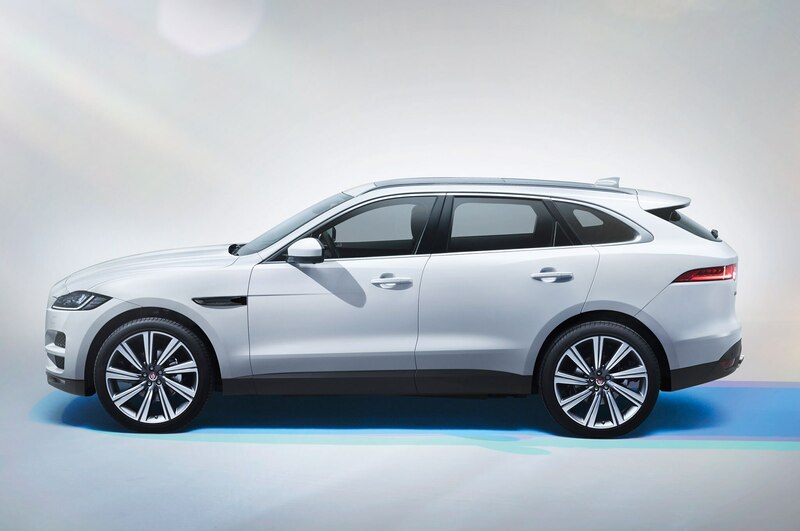 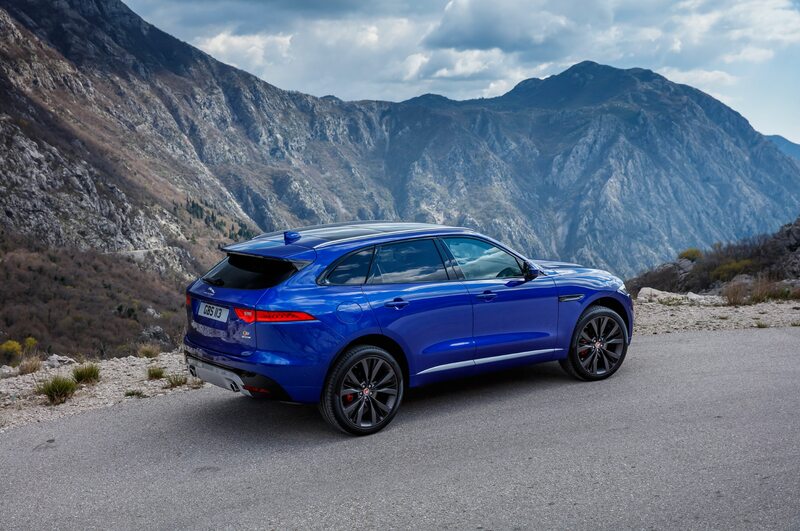 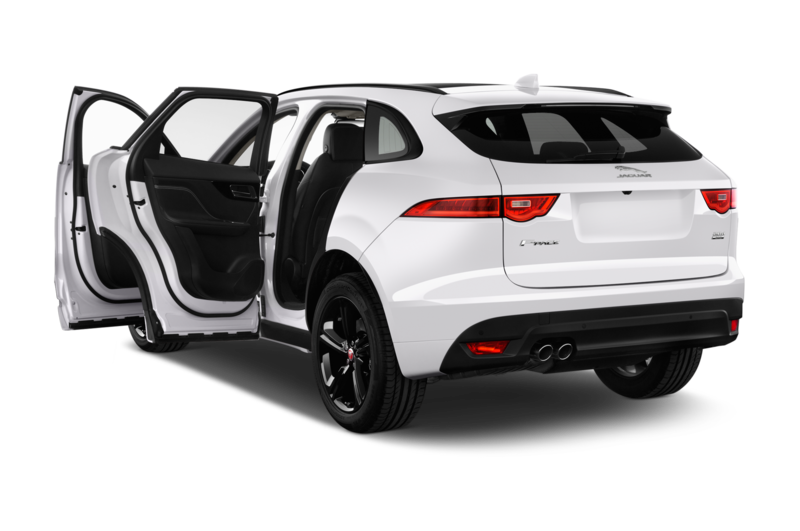 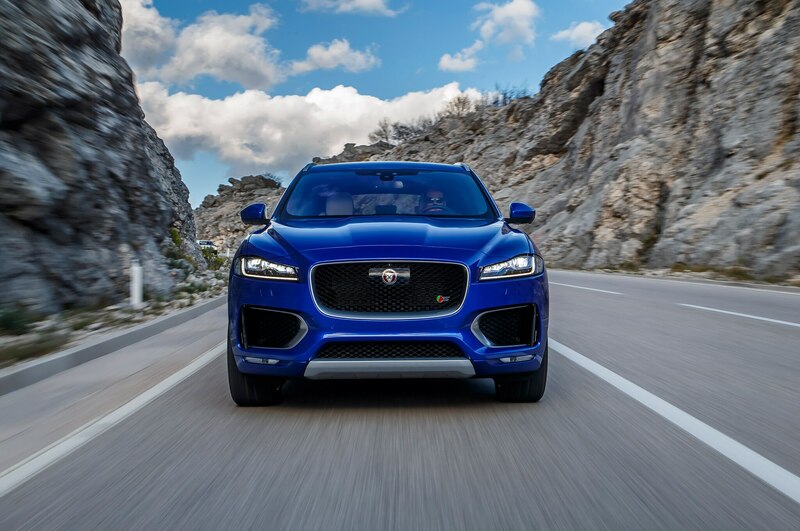 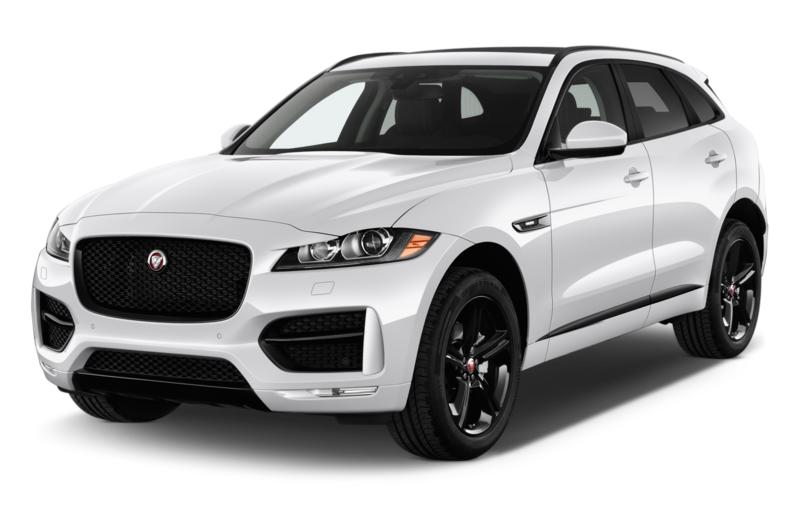 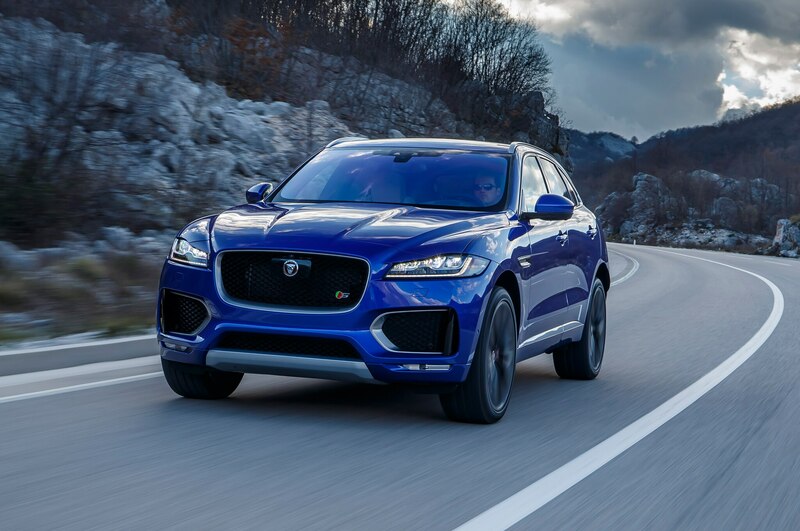 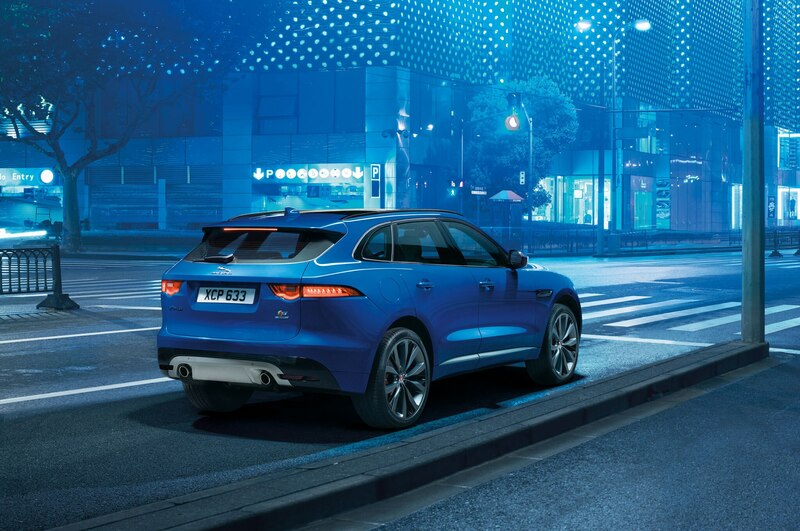 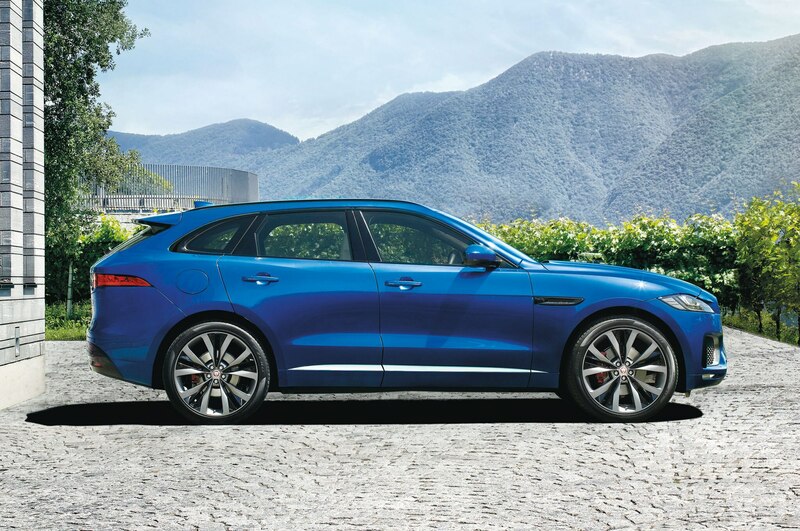 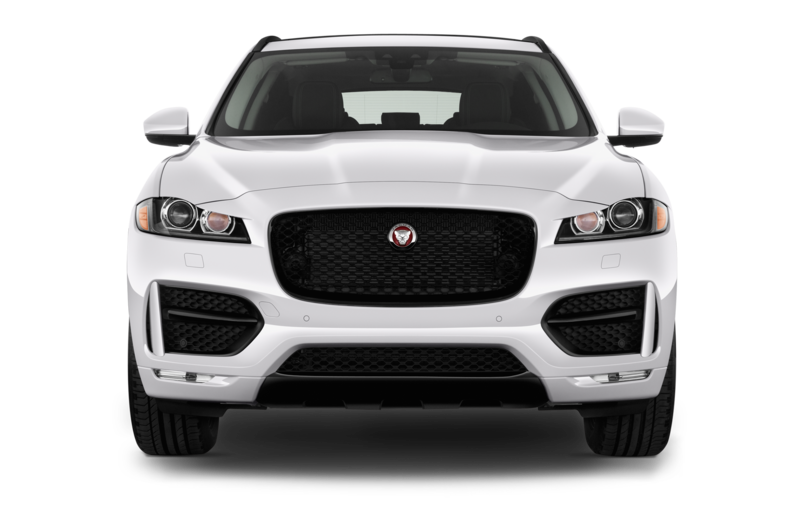 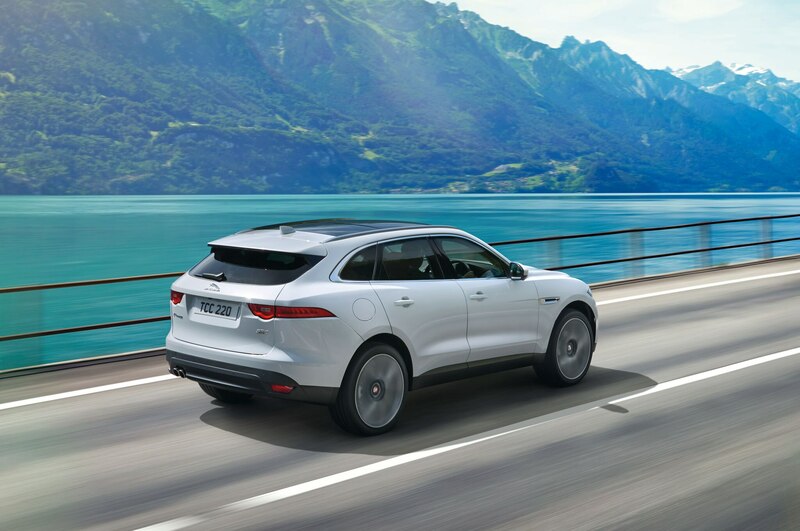 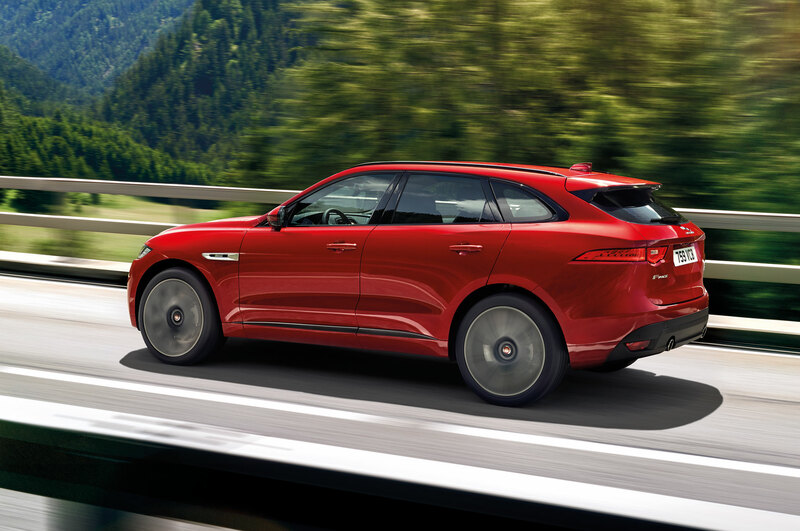 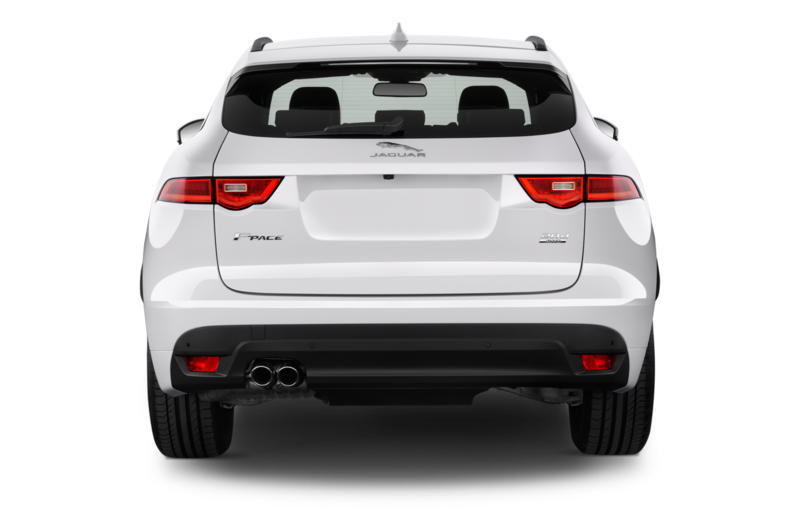 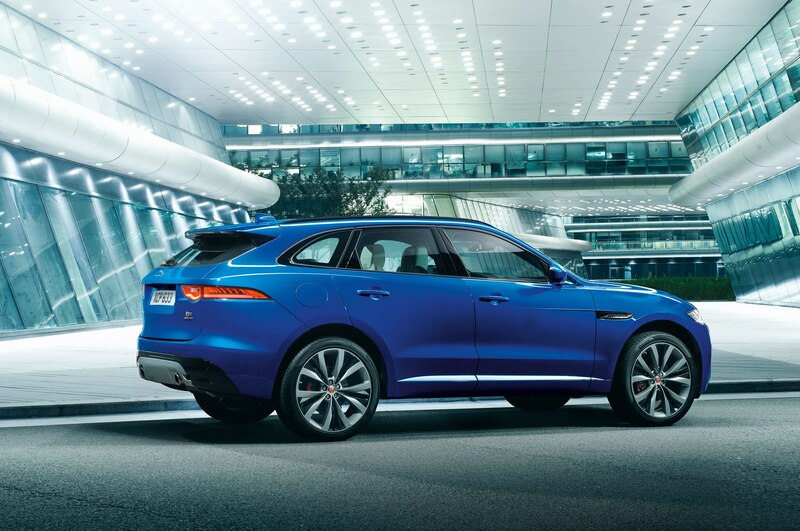 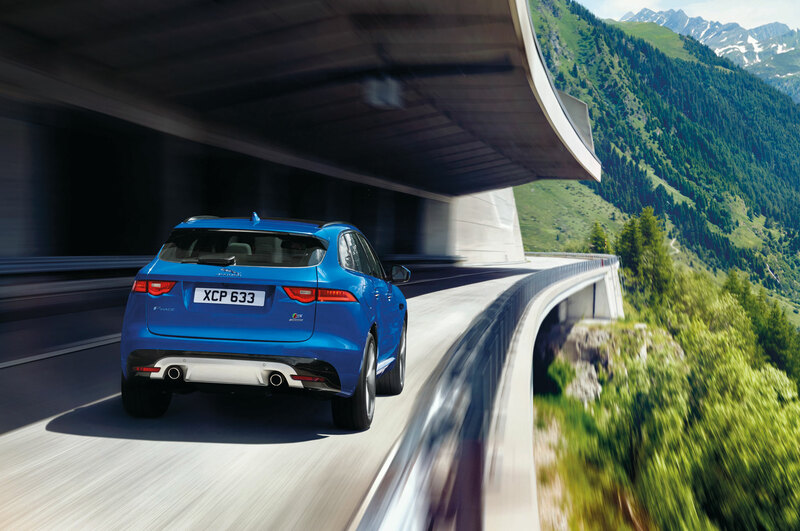 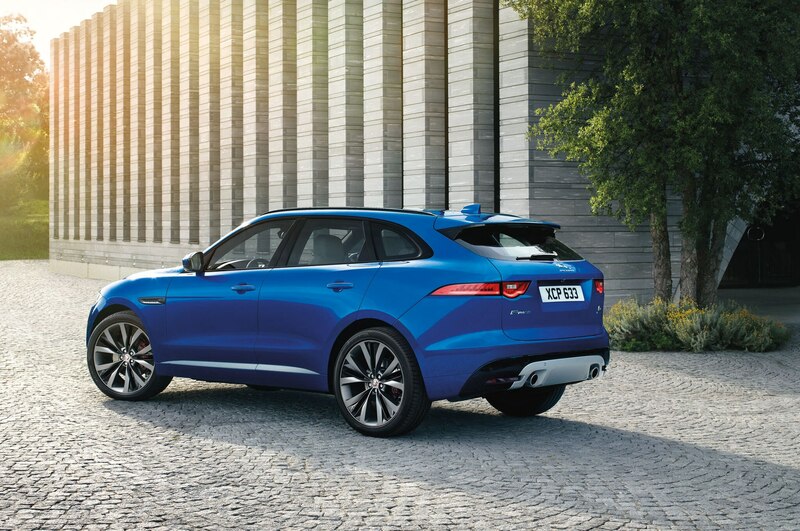 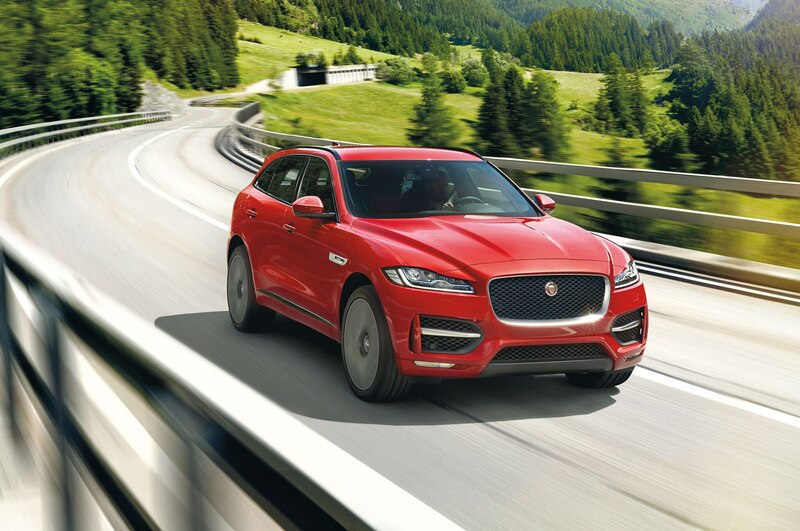 Last year, the Jaguar F-Pace set the record for the world’s biggest loop-the-loop with Grant behind the wheel. 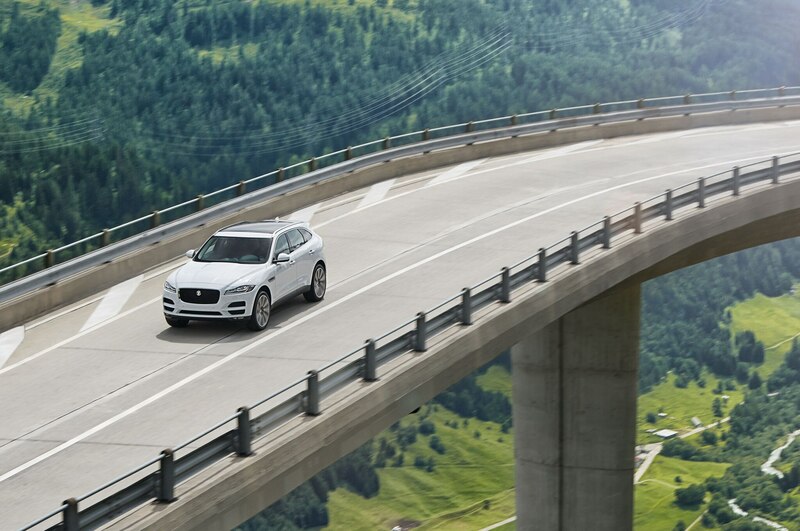 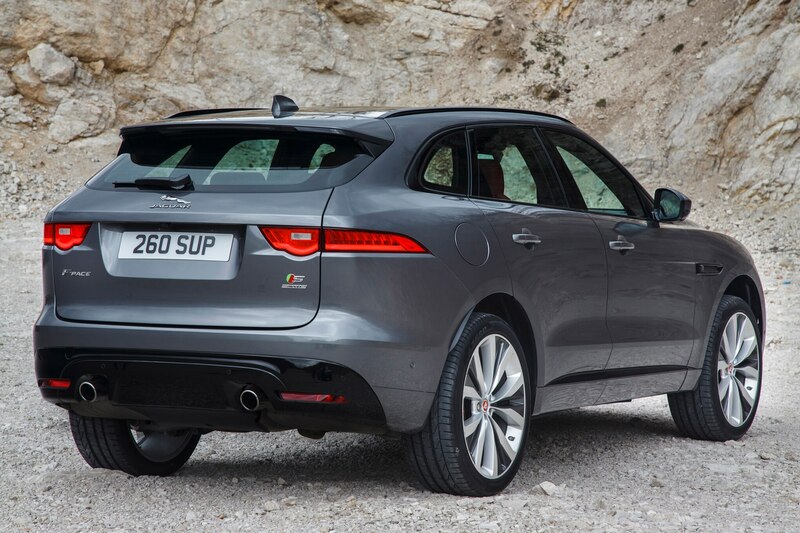 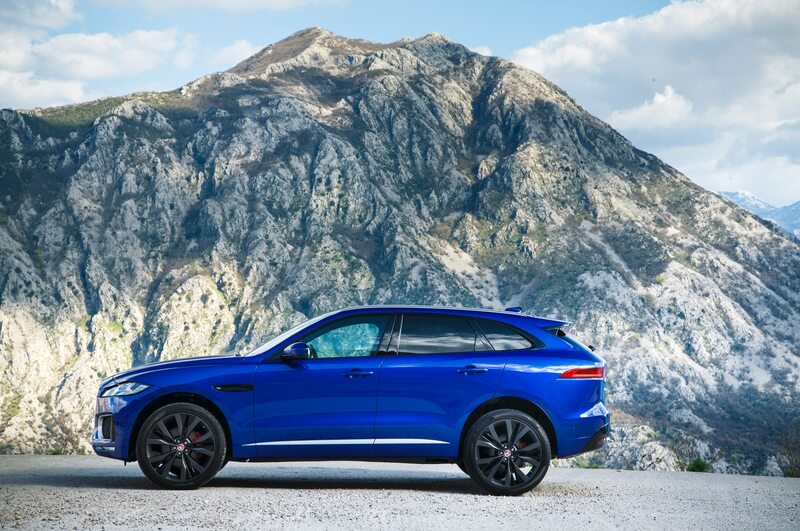 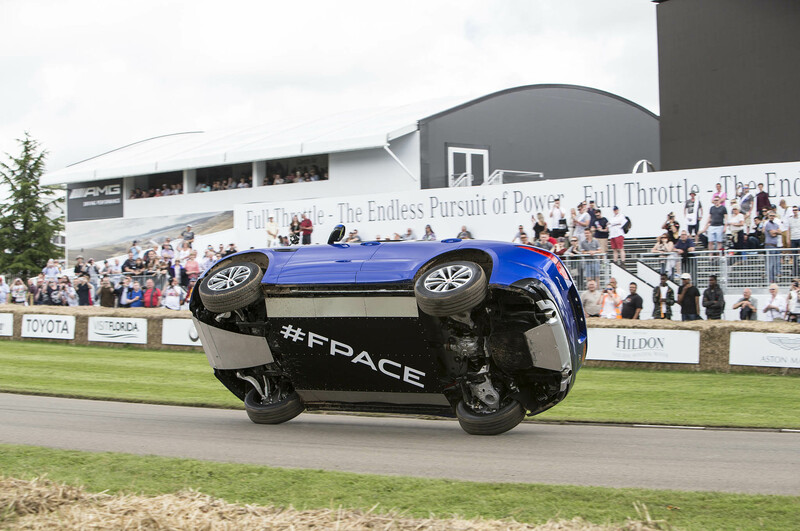 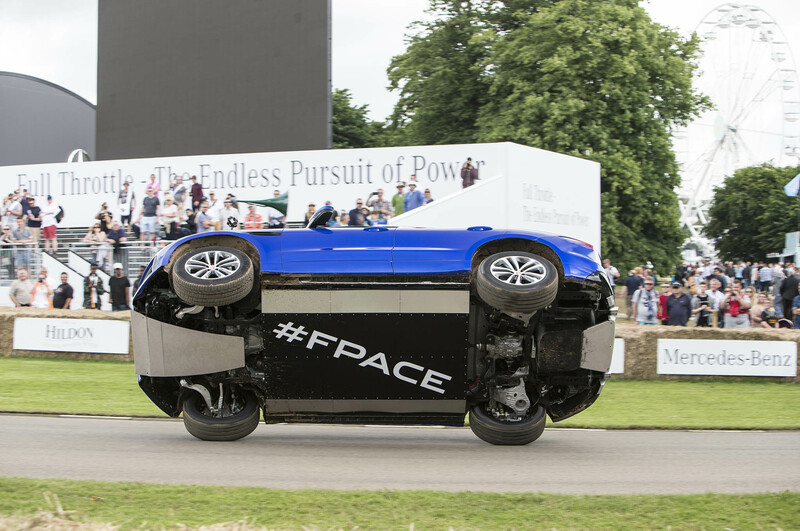 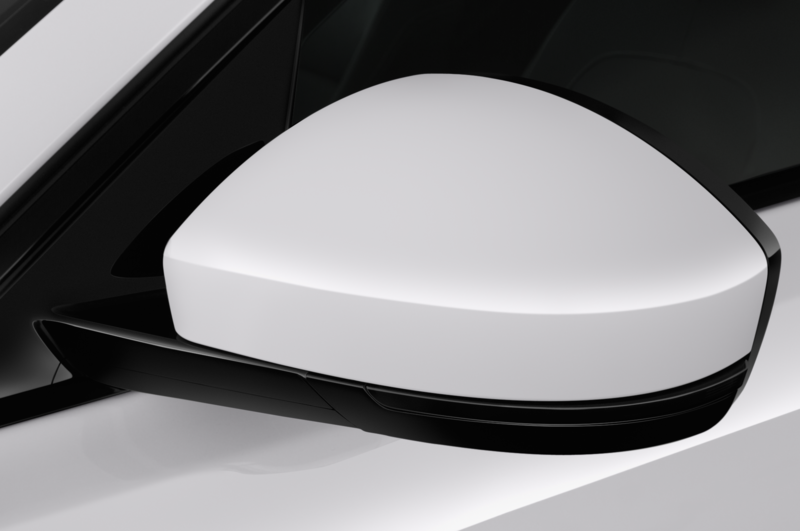 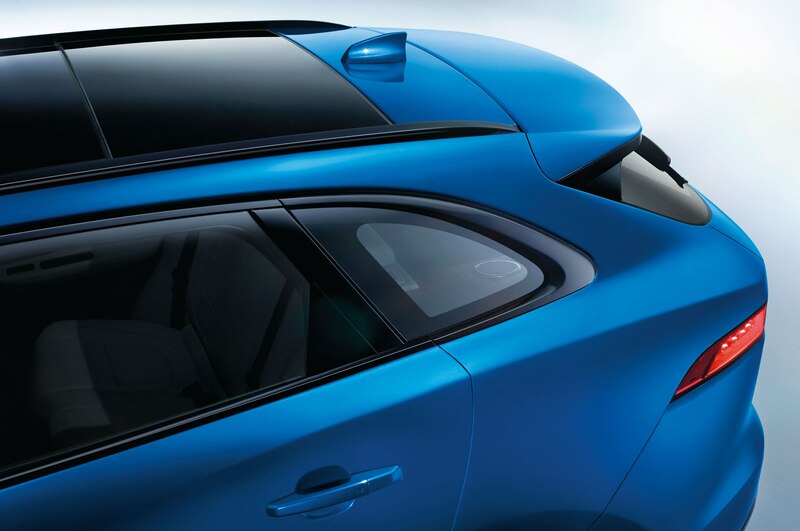 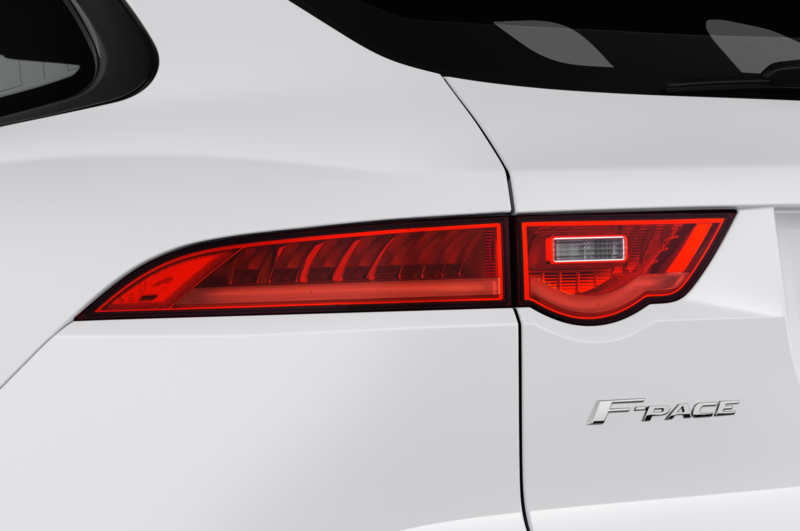 The F-Pace completed the nearly 30-foot loop in just 3 seconds, going upside down with no issue. 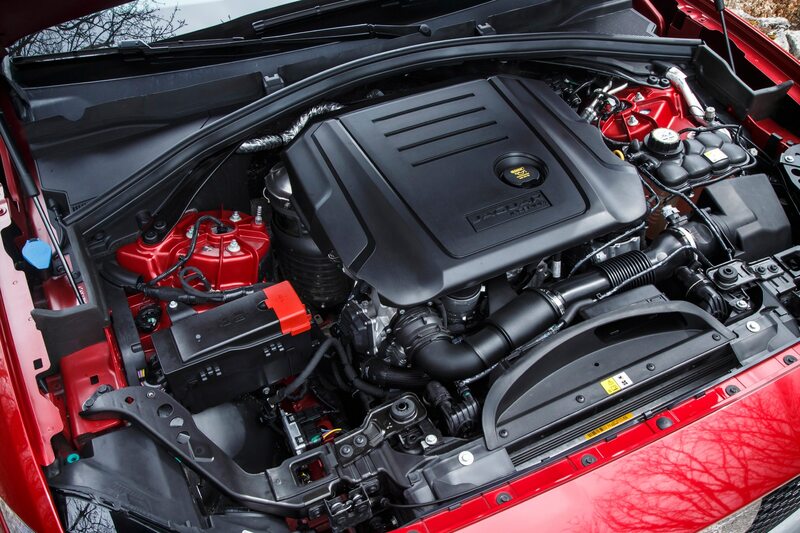 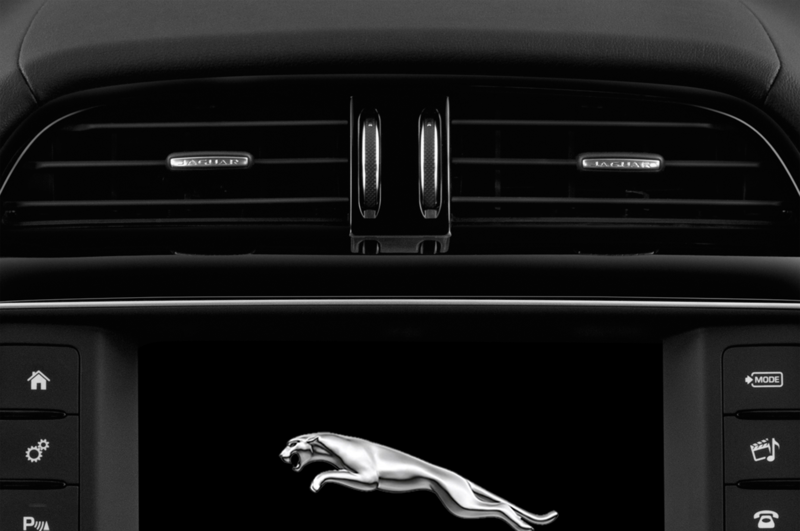 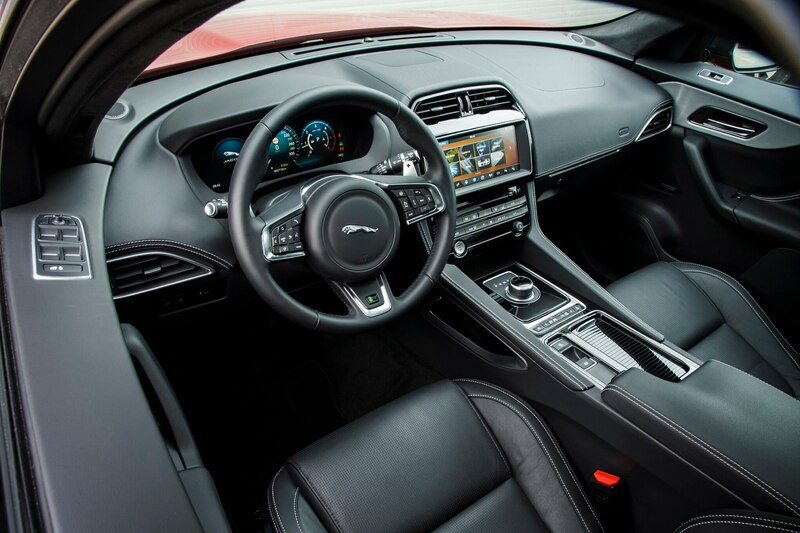 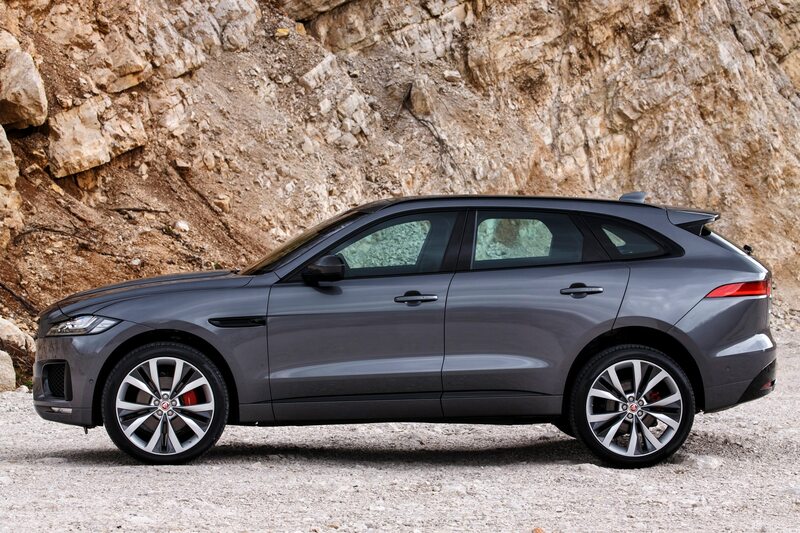 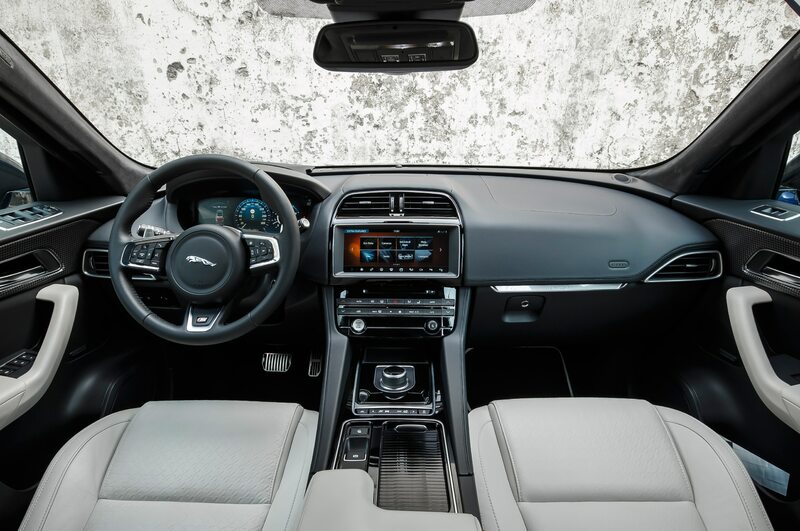 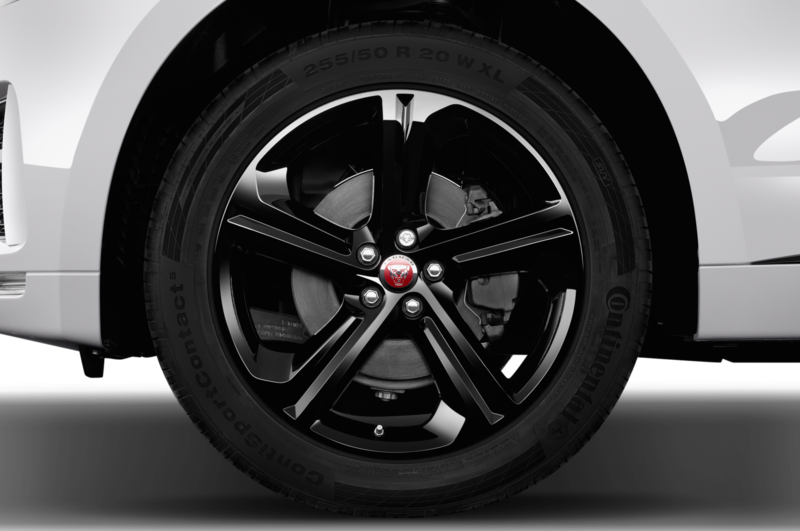 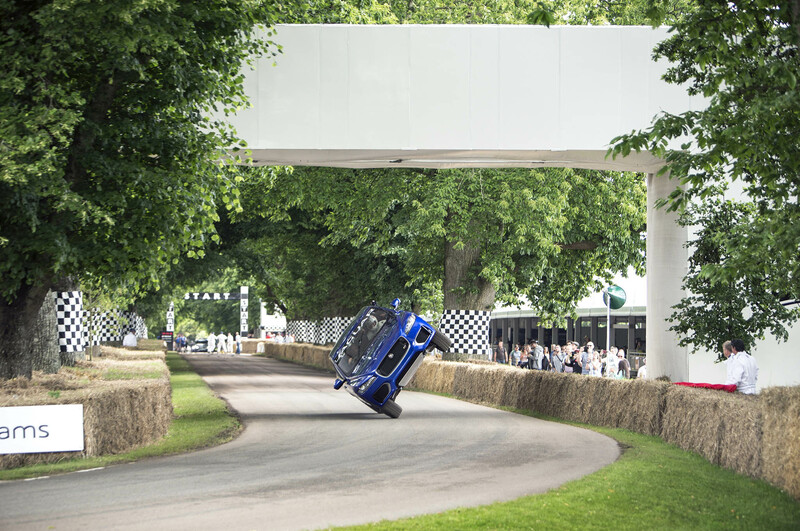 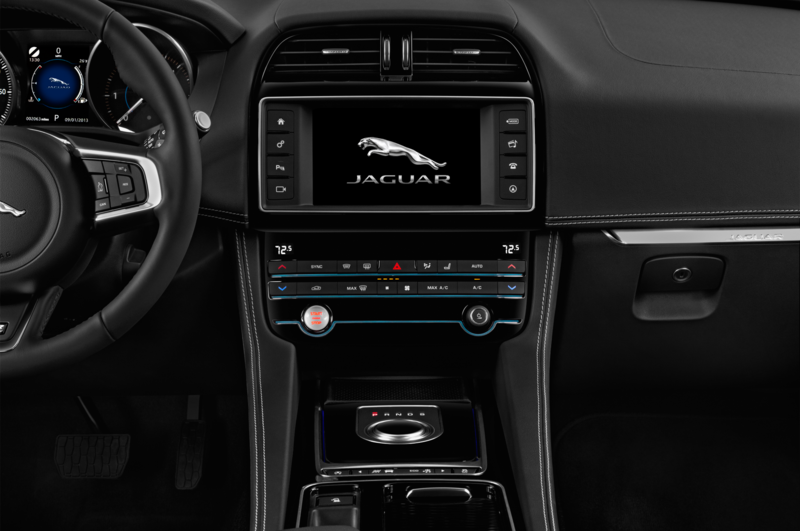 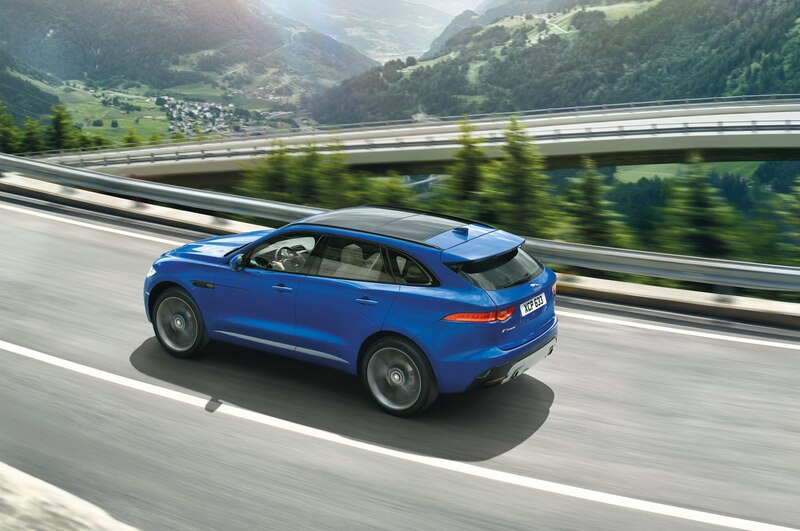 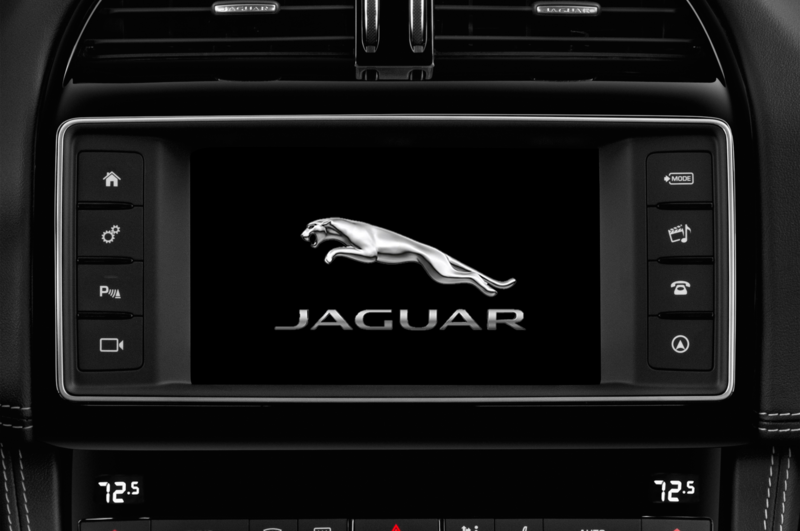 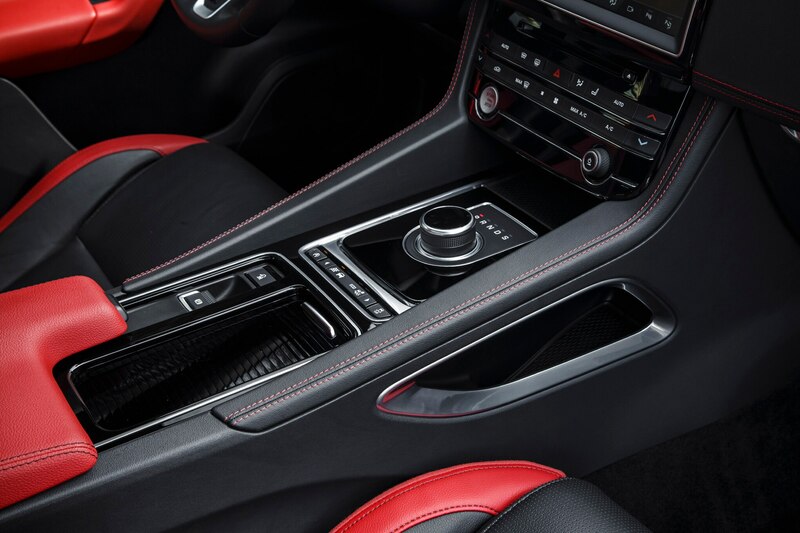 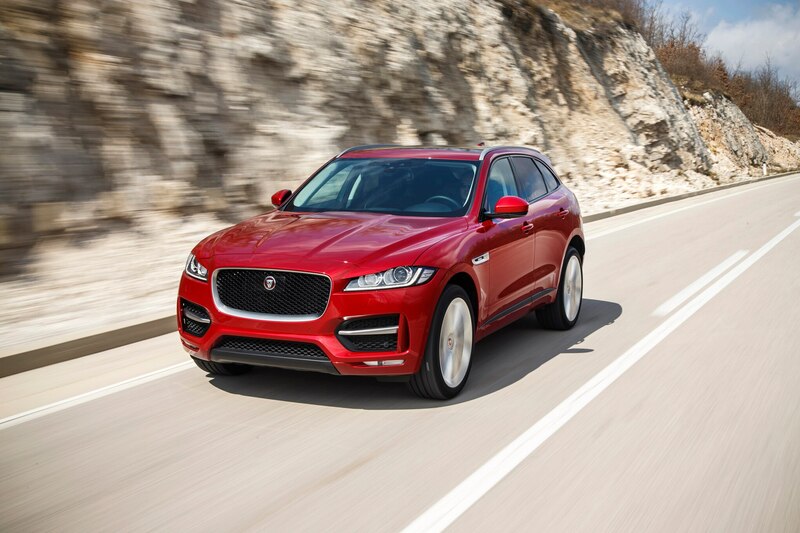 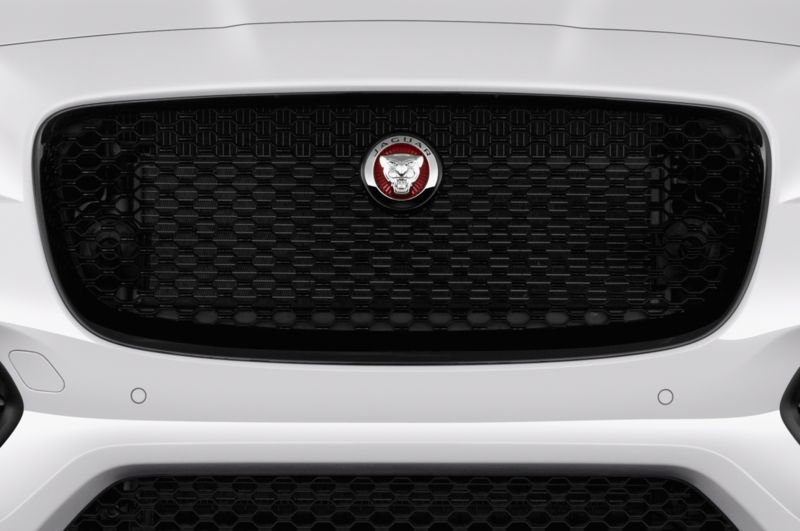 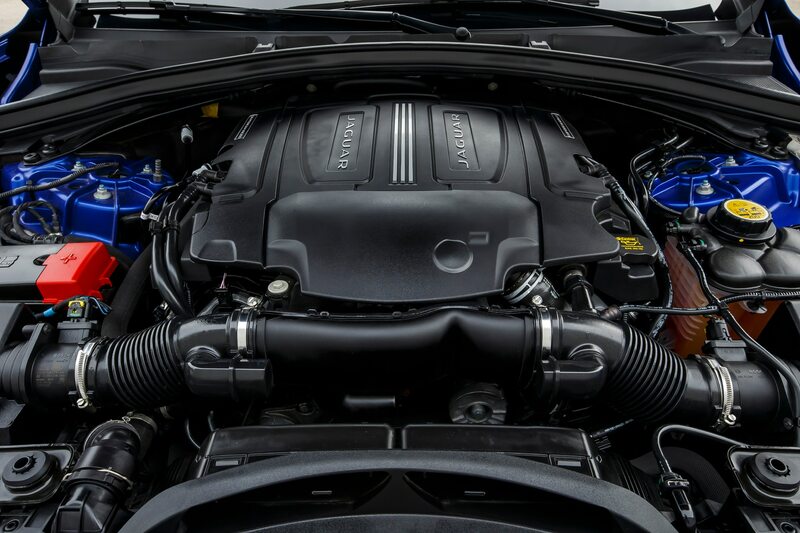 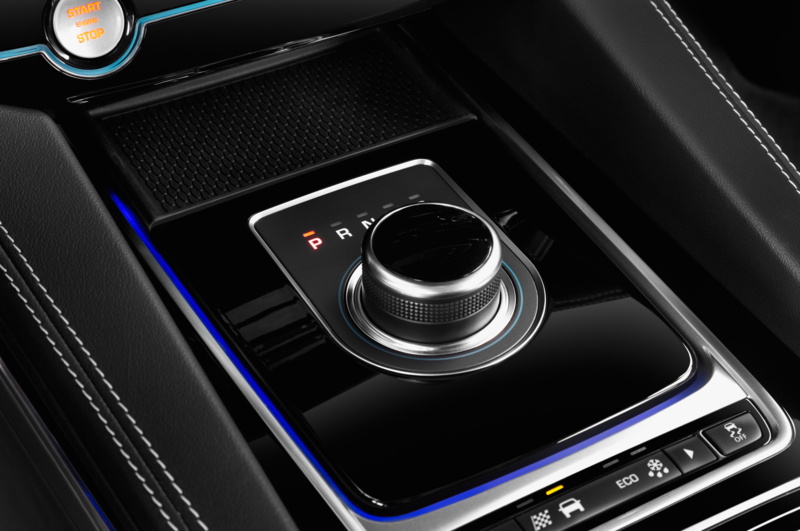 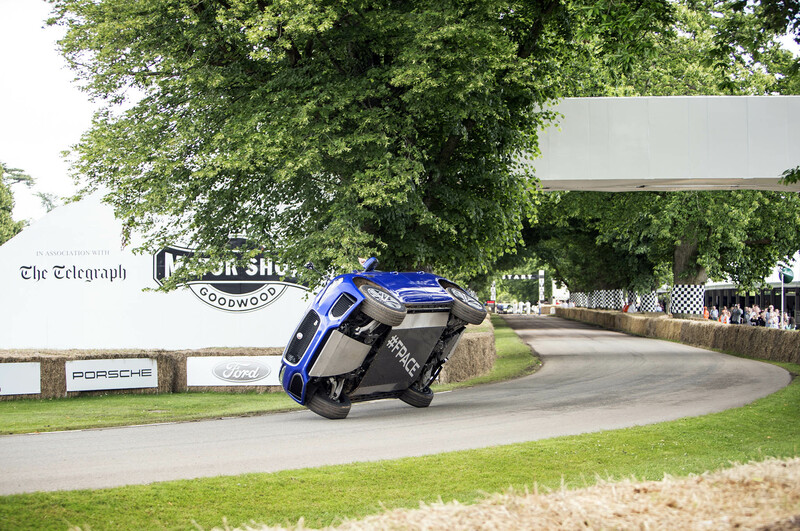 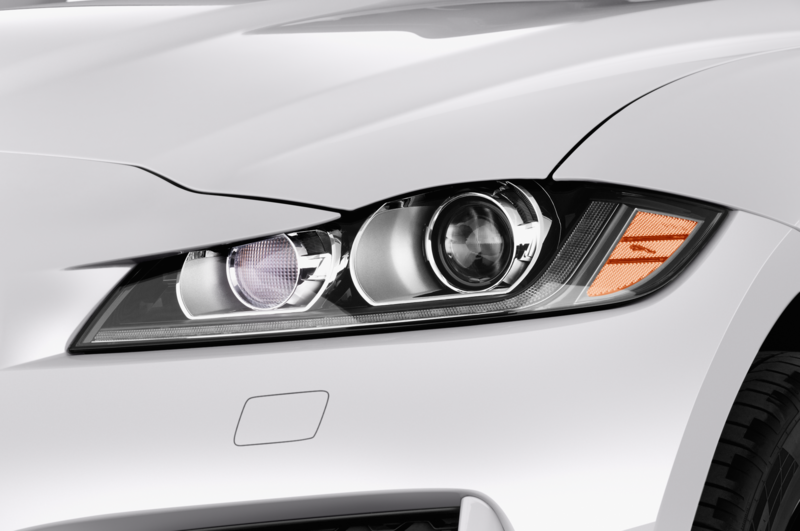 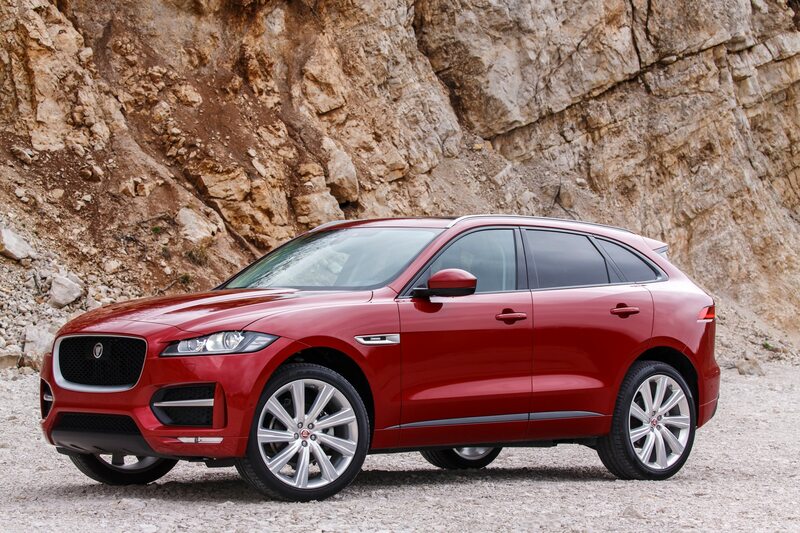 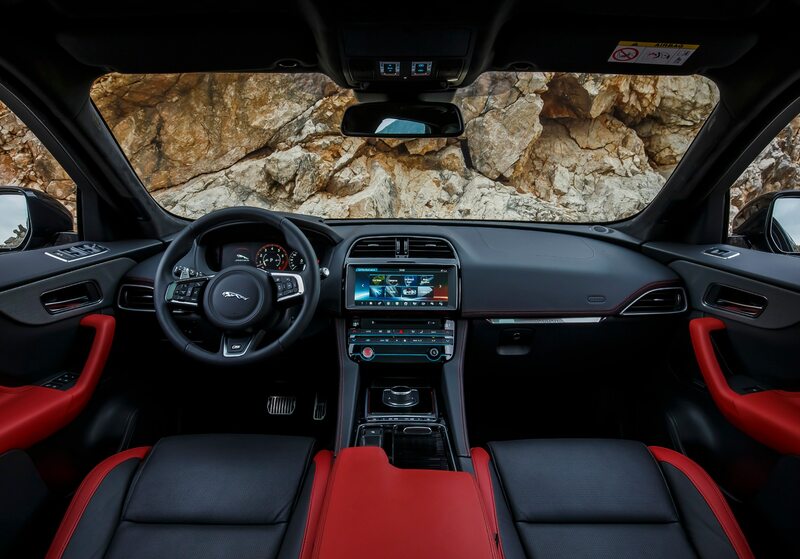 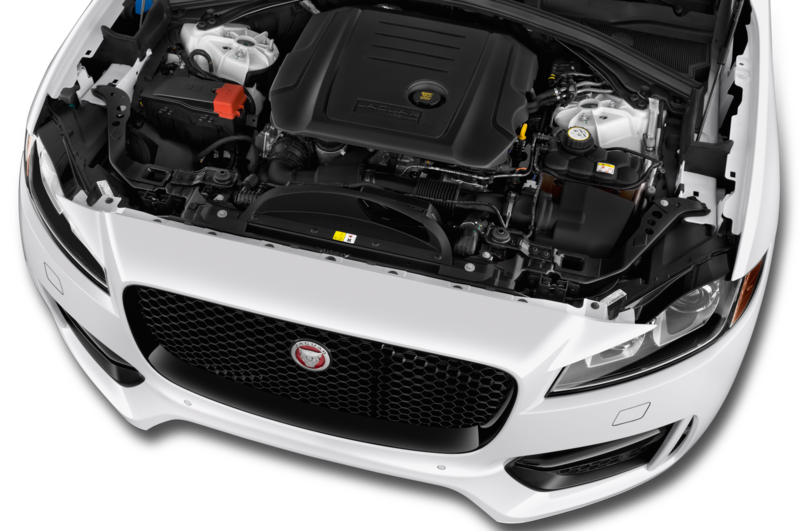 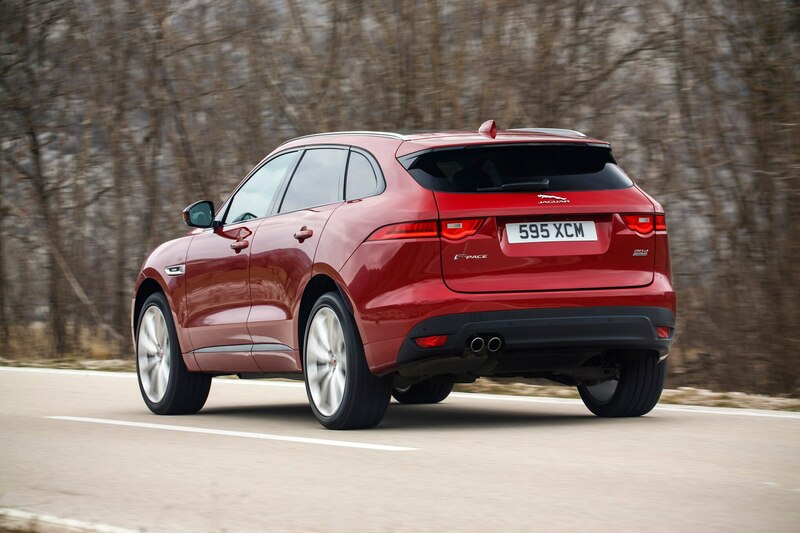 This year, Jaguar’s performance crossover takes on the Goodwood hill on two wheels. 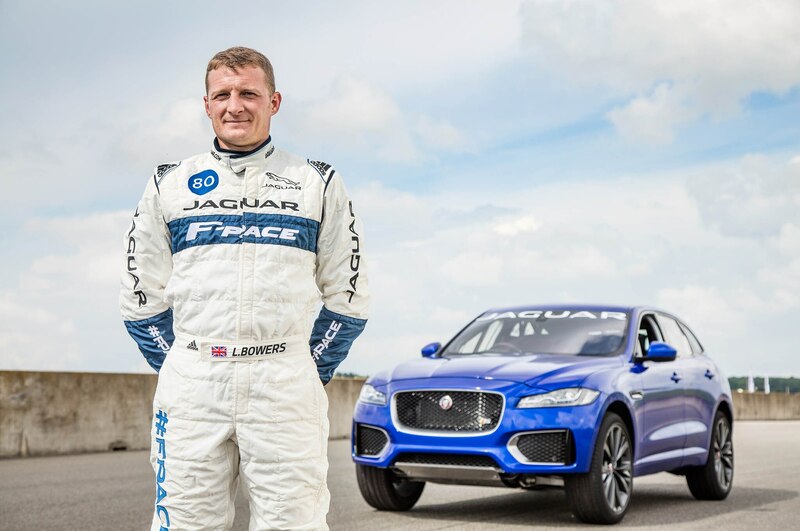 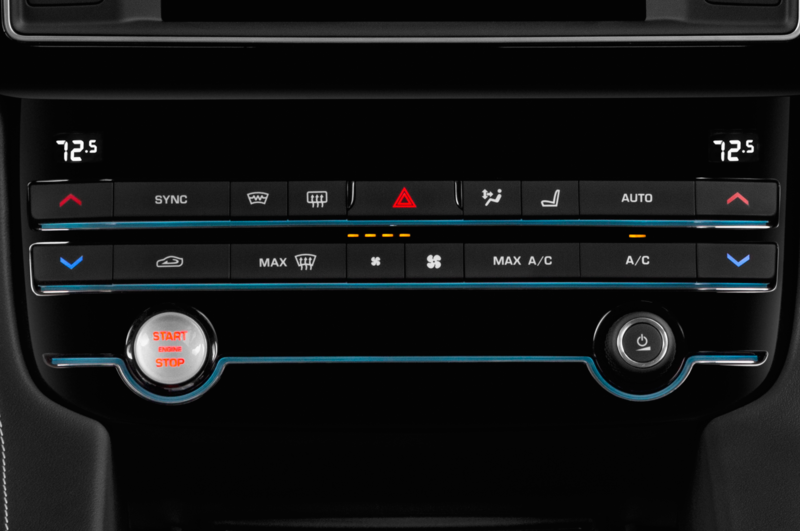 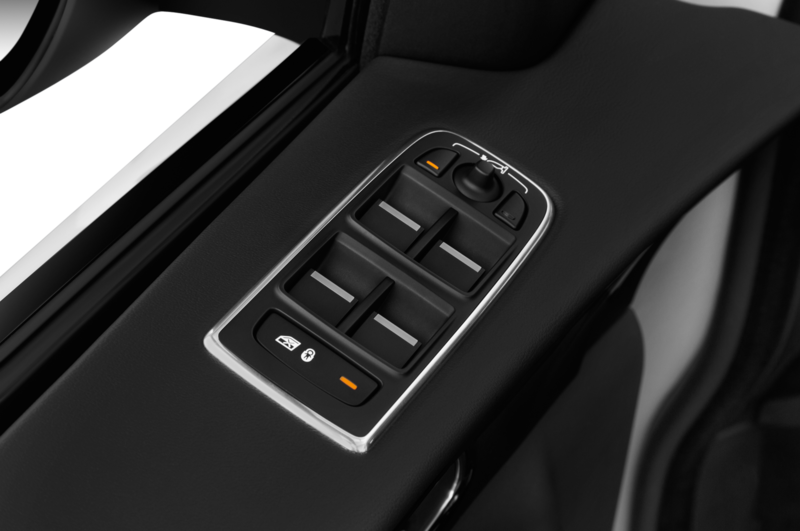 During the drive up the demanding course, Bowers climbed out the passenger window, stood on the side of the F-Pace, and waved to the cheering crowd before climbing back inside to cross the finish line. 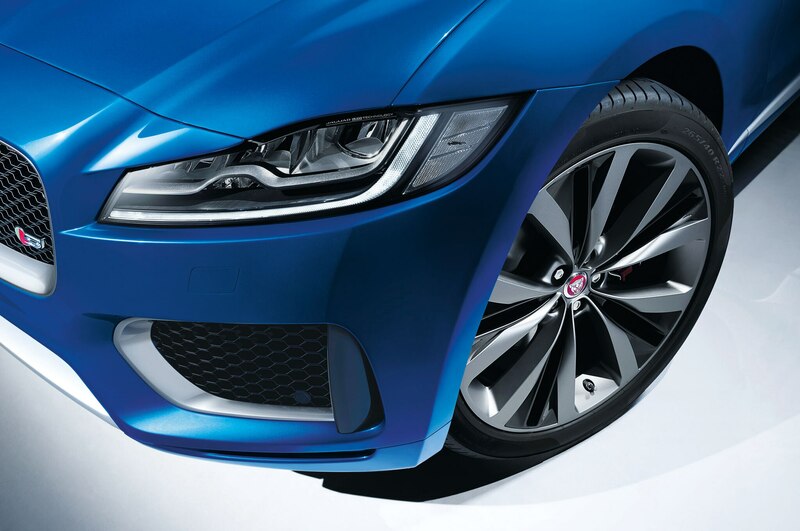 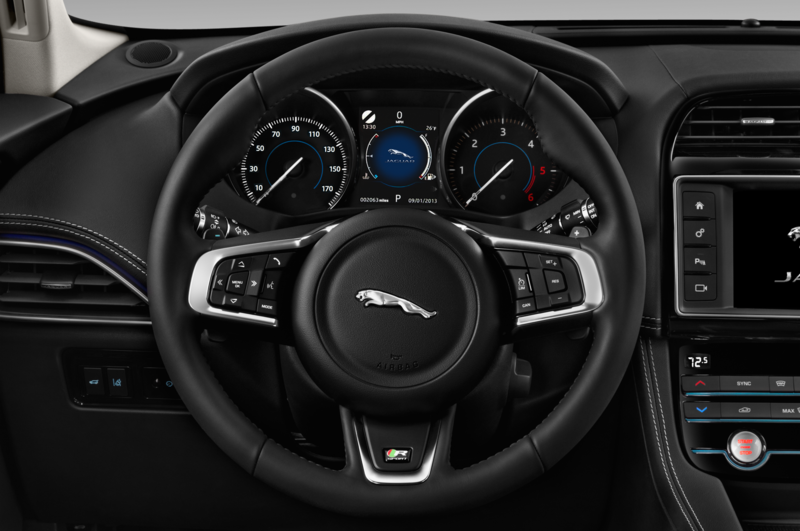 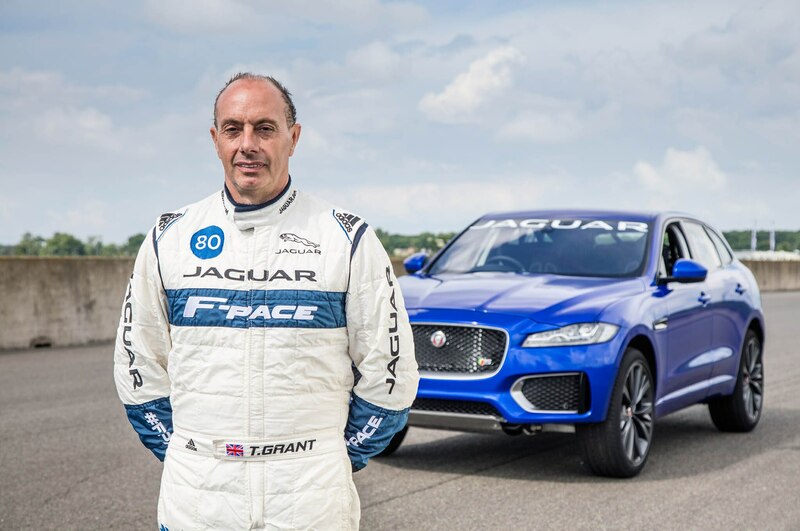 “When Jaguar gave me the opportunity to reunite with the F-Pace used to break the world’s largest loop record, I couldn’t say no. 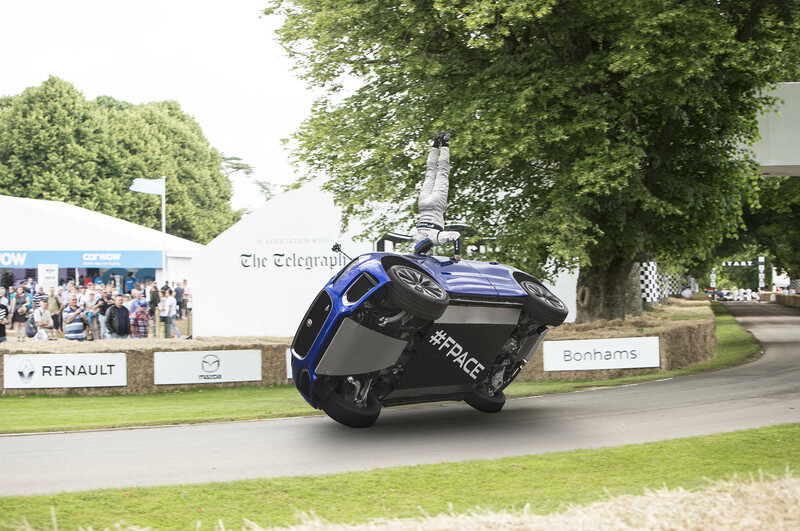 It’s light, stiff aluminum body and precise controls make it the perfect wheelie vehicle, and it was great to have Lee Bowers along for company-even if he did climb out halfway through our run,” said Grant in a release. 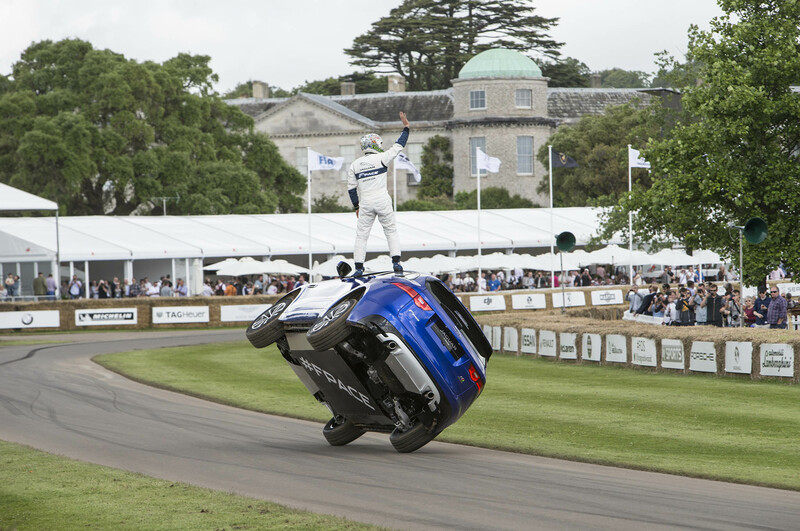 To prepare for the event, Grant headed to Santa Pod Raceway in Northamptonshire days before the official event to get in enough planning and practice to navigate the performance crossover on two wheels.